Elusive video game dev Jason Jones took some time out of making Destiny to ham it up with our friends down at Game Informer, and boy howdy, do they have a scoop for you co-op fans. While the shooter is perfectly playable solo, cooperative play will be required for the "end game" content. You hear that? Required. Some of the most intense non-competitive activities in the game do require cooperation. They require a group of players to tackle at once. 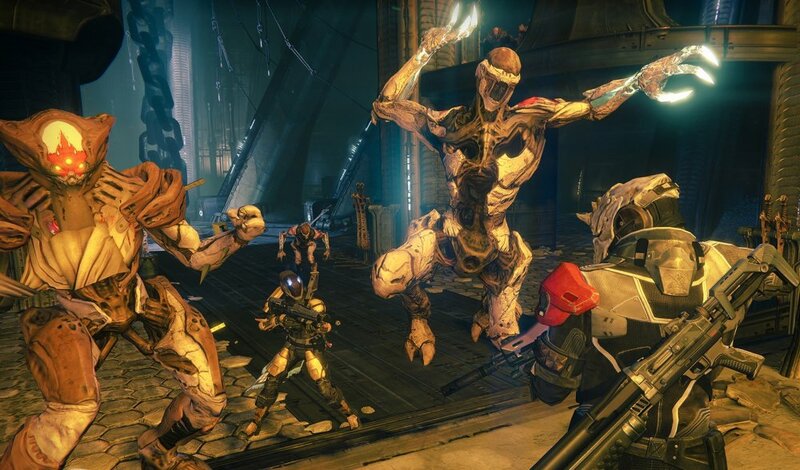 I guess at some variable, distant endpoint we are going to say, "Yeah, if you show up at this door, and you don’t have five friends, you’re not going to be able to succeed,"
Teaming up to take on more difficult challenges is nothing new to MMO's, and Destiny has plenty of those trappings wrapped up in a shooter. 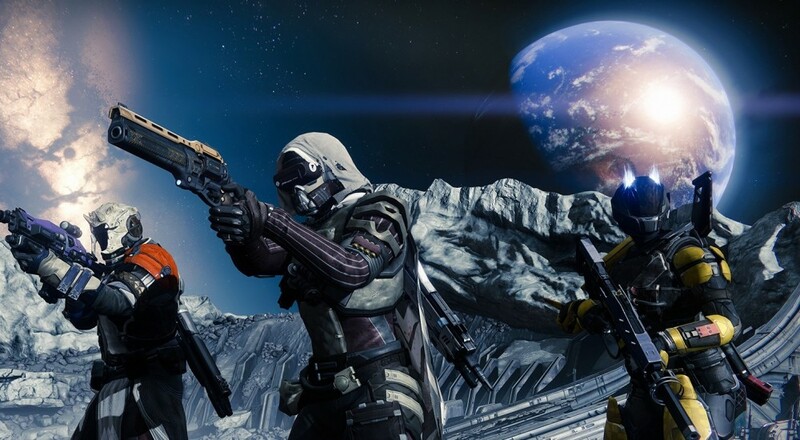 Destiny differentiates itself from a standard MMO by having a having a story play out all the way to a definite ending. Replayability is always a concern in a persistent world with a mission structure, but the former Halo publisher was able to squeeze out a ton of extra game last time around with additional difficulties that were actually fun to play. The internet, because it is the internet and therefore inherently evil, kind of exploded with this new revelation in a pretty negative light. Regardless, I'm incredibly excited to see the end-game content of one of my most anticipated games of this year be designed around co-operative play. I for one would much rather see content too difficult for solo play, than encounters made too easy for group action. What do you think? Are you nervous to enter the heavily populated waters of Destiny, or do you embrace the necessity to join your fellow humans in an effort to extinguish the extraterrestrial menace? How Have Weeklies and Nightfall Improved With The Taken King? Page created in 0.2674 seconds.